This is one of my favorite scriptures to pray because the enemy often tries to manipulate my mind through anxiety. I can get overwhelmed when I feel like I have taken on too many projects. 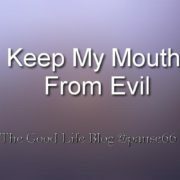 This leads to me becoming short-tempered and sometimes my husband, my kids or anyone in close proximity have to suffer. As a result of this, guilt starts to affect me because I know that I shouldn’t have taken out my frustrations on them. This is my confession ? Can any of you identify with this as well? When I find myself in this cycle, I pray Psalms 139:23-24. I know that the Holy Spirit will guide us into all truth and He never falls short. It may not be that you get easily overwhelmed, but maybe you have a short temper, a foul mouth, a hardened heart, a jealous spirit, a lying tongue….. anything that can separate you from hearing the voice of God. Things usually begin to build up and we need an outlet. 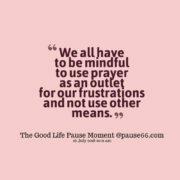 We all have to be mindful to use prayer as an outlet for our frustrations and not use other means. 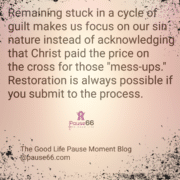 Let’s ask God to reveal the areas in our life that need to be rebooted today. As a high school teacher, I have the unique experience of being able to see the similarities of behaviors in both children and adults. One area that is always troublesome to me is when I hear teen girls say that they don’t get along with females, so they only hang with “guys.” They justify this detachment from girls because they have experienced backbiting and criticism that led to hurt feelings. Unfortunately, these same hurt feelings continue into womanhood and walls are built up because someone has spewed words of negativity. I have also witnessed teenage girls being the perpetrators of talking about others in a negative way. After chastising them for their behavior, I always hope that they will not continue on that path of negativity. Unfortunately, many of them do not mature in that area, but eventually those same attributes follow them into adulthood. https://www.pause66.com/wp-content/uploads/2018/06/addtext_com_MTEwMDE0Mjc1ODI.jpg 500 667 admin http://www.pause66.com/wp-content/uploads/2014/06/ses.jpg admin2018-06-20 11:03:152018-06-20 11:08:45Dear Lord, Keep My Mouth From Evil....Amen! Every day we need to be reminded that Jesus loves us. Today is no different. Satan, our adversary, never gives up on looking for strategies to attack our self-worth, so we need to be as vigilant in reminding him that we know who we are in Christ! 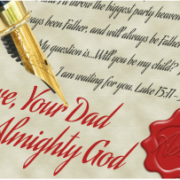 As you play this audio/video, allow God’s word’s to penetrate your heart. 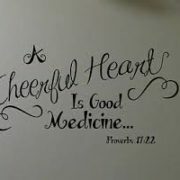 Be blessed and always enjoy the good life in Christ! 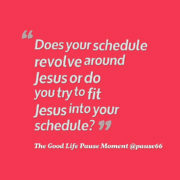 Does your schedule revolve around Jesus or do you try to fit Jesus into your schedule? This was a question that was presented in a recent devotional that I read. This thought provoking idea lingered in my mind for several days. 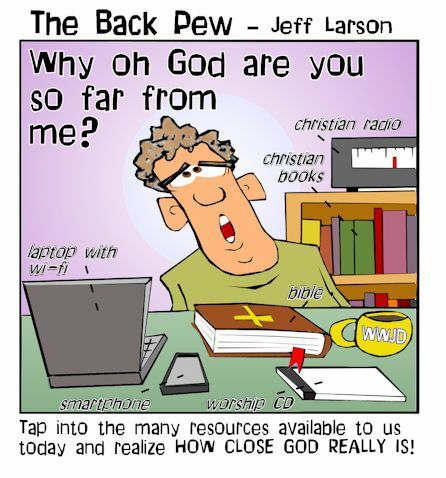 I would guess that most people that consider themselves Christians, would answer that Jesus is the center of their world. Therefore, everything that they do has to revolve around Jesus right? But let’s pause for a moment and get real with ourselves. We need to take a serious look at our calendars. What activities consume the majority of our time? If it is difficult for you to determine this, separate it into several categories. My categories would be: work, business, social outings, church events, prayer time, bible study, kid’s sports……If I placed these sections on a pie chart, I would easily be able to see what part of my life has the biggest slice of pie. This visual may surprise us if we find out that “Jesus Time” is missing in our calendars and we now have to figure out where to fit this quality time. Christ wants us to enjoy life. Scripture says in John 10:10 that Christ came, so that we can live an abundant life. That is a life full of love, joy, peace, long suffering, gentleness, goodness, faith, meekness and temperance. These are the fruits of the spirit and evidence of an abundant life. How are you measuring up? 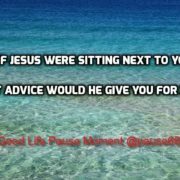 So now that you have an idea of where you spend most of your time, the second step is to ask yourself if these activities are causing you to draw closer to God or are they taking time away from you spending time with God? 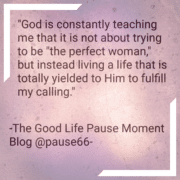 Is God an afterthought when you are engaged in these activities or is His presence evident? One of my favorite scriptures is Proverbs 3:6. It says, “In all your ways acknowledge Him and He shall direct your paths.” This verse always challenges me to make sure that Christ has co-signed on my endeavors. I know that I can easily get caught up in doing things my way in order to get things accomplished. My ambition can easily get self-centered instead of remaining Christ-centered. If my calendar is mostly filled with events and activities that don’t have Christ in the mix, than I know that my life is unbalanced. As Christians, our sole desire must be to live a life that is pleasing to God; therefore checking to see if we have “scheduling conflicts” is something that we need to do often. Seeking God first and acknowledging Him in our daily routines is the only way that we can avoid these conflicts. With His help, our lives will be full and we can all enjoy the good life in Christ! If you are like me, it takes focus for me to organize my day. 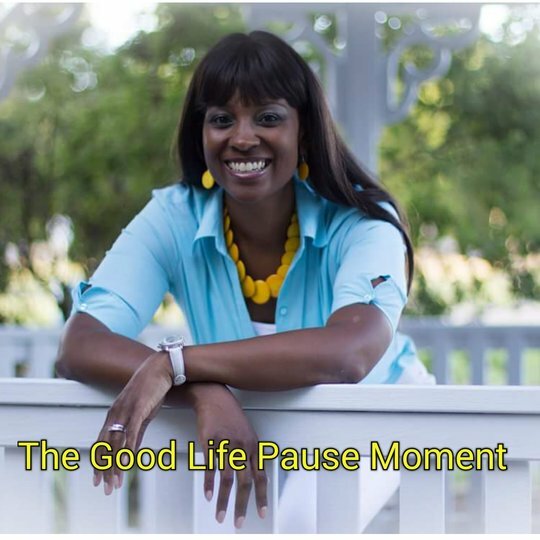 I am a mom, wife, daughter, friend, teacher, colleague, ministry leader, business owner… and the list goes on and on. On any given day, some of these roles takes precedence over the other and sometimes it is difficult to keep them balanced. 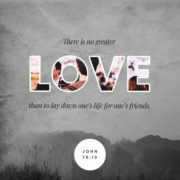 But within all of these roles, Jesus always needs to be the center of our world and the focus of everything that we do. Once we get our priorities together, then we will be able to follow HIS PLANS and everything else will be in order. We can easily get distracted and forget to put Christ ahead of everything else. Our intentions are never to neglect our first love, but when we focus on the wrong things, those areas receive the attention that should be given to Jesus. 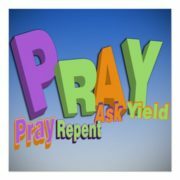 I want to share the acronym P.R.A.Y with you so that you can keep it beside your bed or use it as a screensaver to remind you to start your day off with Jesus! Enjoy the good life in Christ! Today, many people around the world are celebrating their love for one another. Some have been busy making plans for several weeks and others are still trying to think of creative methods to show their appreciation for those that they care about. But, in the busyness of focusing our attention on those around us, we cannot forget to show our love and appreciation for our Heavenly Father. He is the one who first loved us and the one who loves us most of all. 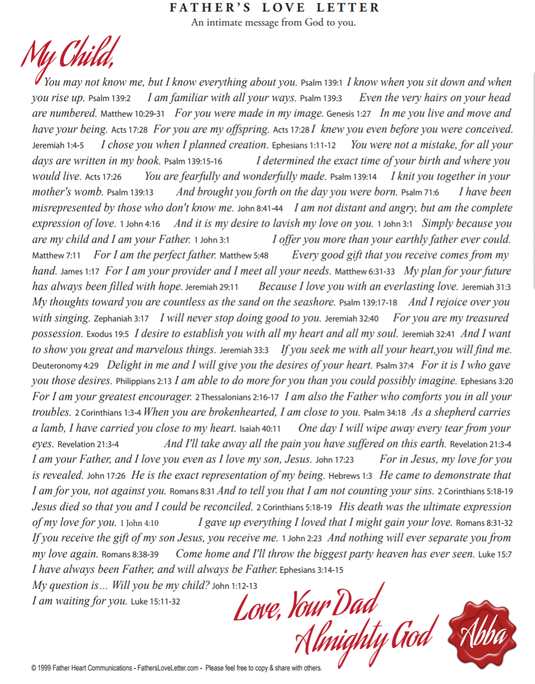 In celebration of today, I would like to share something that I came across entitled, “Father’s Love Letter.” It shares God’s love through scriptures and guides us to experiencing His unconditional love. I pray that this is a blessing for you and that you never forget that you are loved, that you are special and that you are worth feeling appreciated.